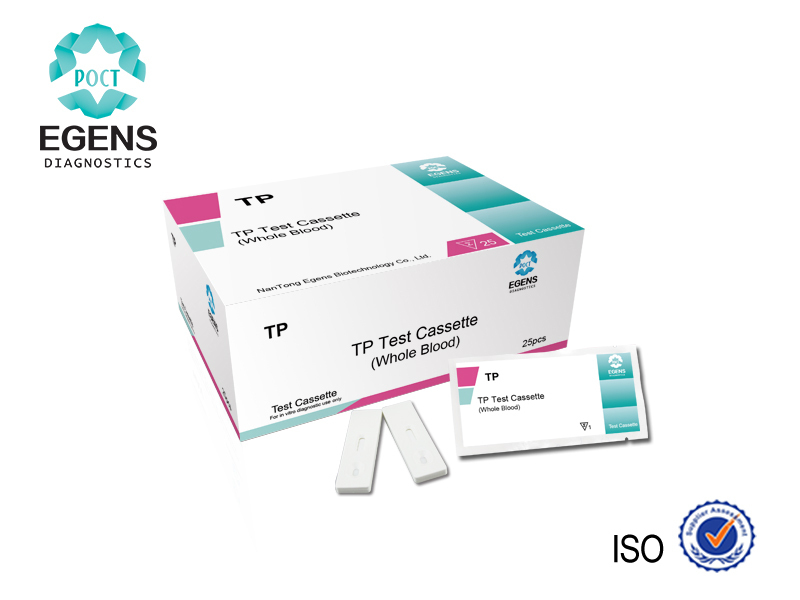 One Step ANTI-TP in Whole Blood Rapid Screen Test is a chromatographic immunoassay for the qualitative detection of antibodies to TP in human whole blood.Two Purified recombinant antigens of TP are used in test band as capture materials and gold conjugates. If the antibody of Anti-TP is present in the sample in concentration above the labeled, complex will be formed. This complex is then captured by antigens immobilized in the Test Zone of the membrane, producing a visible pink-rose color band on the membrane. 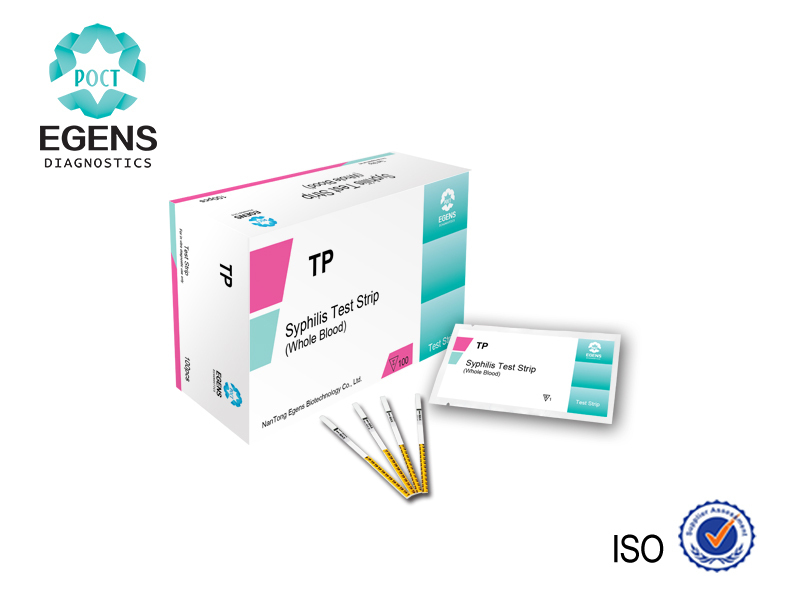 The color intensity will depend on the concentration of the anti-TP present in the sample. This one step test is very sensitive and only takes about 15 minutes. Test results are read visually without any instrument. For whole blood, collect blood into a container with anticoagulant(EDTA or heparin ). Use the specimen inside an hour.If the specimen can not be tested inside an hour, store the specimen in 4℃ cold closet or refrigerator,but Don’t freeze. Bring the specimens to room temperature before testing. Do not freeze and thaw the specimen repeatedly. along the notch. Remove the test form the pouch. 2.lay the cassette flat on a clean, dry, nonabsorbent surface,draw one drop(about 30ul)whole blood into the sample pad. 3.Then draw one drop of buffer into the sample well as well. Negative: Only one pink band appears on test region of the Cassette. This indicates that there is no detectable anti-TP in the whole blood. Positive: Two pink bands appear on test region of the Cassette. 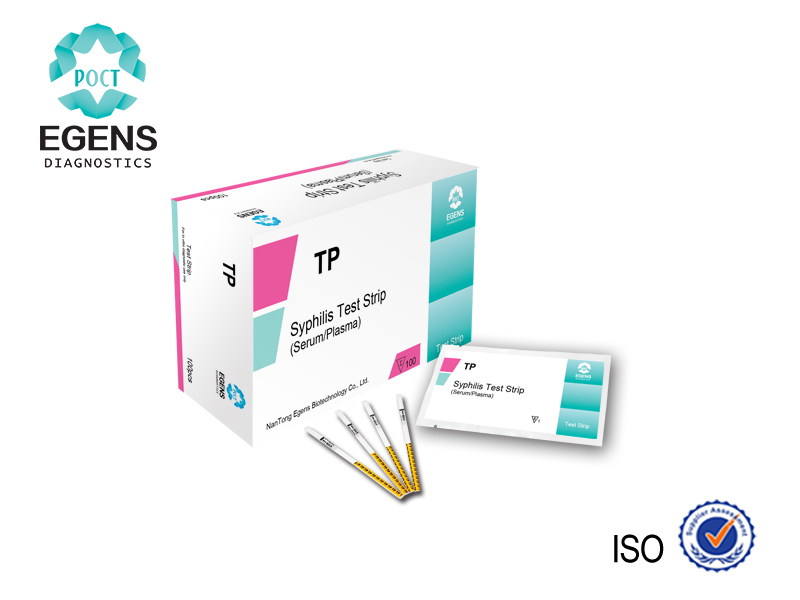 This indicates that the specimen contains detectable amount of anti-TP. Invalid: If without colored band appears on test region, this is an indication of a possible error in performing the test. The test should be repeated using a new device. 2,Use it before expiry date. 3,The package of kit should not be opened until it reaches the room temperature if it taken out from the refrigerator. 1,The test is for in-vitro diagnostic use only. 2,The test is qualitative filter detection,it can not be used as the final test for blood donor. 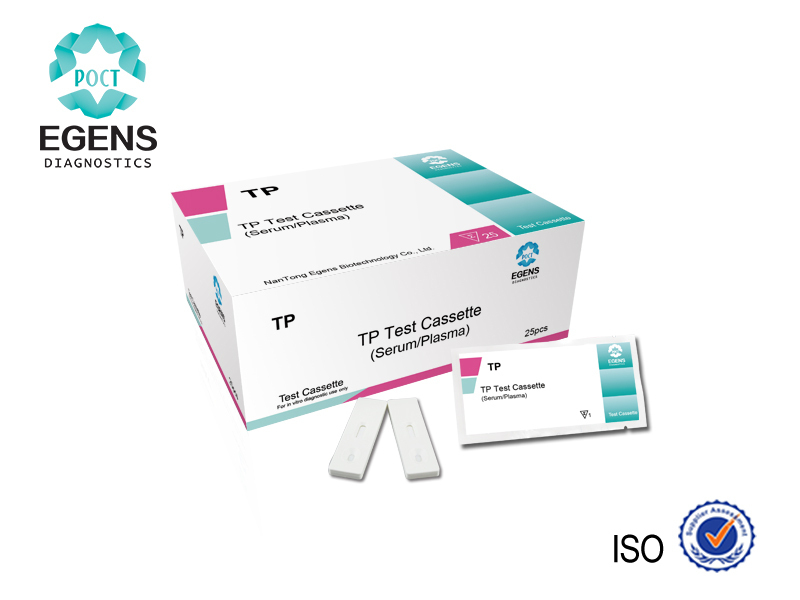 The test kit can be stored at room temperature (2 to 30°C) in the sealed pouch to the date of expiration.The test kit should be kept away from direct sunlight, moisture and heat.